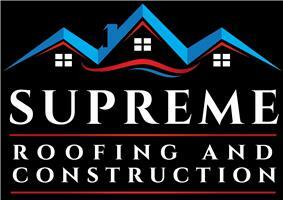 Supreme Roofing and Construction Ltd - Roofer based in East Grinstead, West Sussex. Supreme Roofing and Construction are roofing specialists based in West Sussex undertaking all roofing work including repairs, fascias, soffits, guttering and lead work. We offer free quotations and guarantees on all work, with no deposits or hidden costs. Over time our experienced and knowledgeable team have been providing a great service for our customers all over the southeast and beyond. With a wealth of experience in the roofing industry, you can trust in our high skilled specialists. We use the highest quality materials at the best prices available for a roof built to last. The majority of our business comes from word of mouth or repeat work for clients. This, we believe, is a testament to the quality of our work and we have many clients who would be delighted to act as a reference. We are a friendly and reliable team and our commitment to quality is incomparable. We pride ourselves on our professional, reliable service and our outstanding client care. We are always happy to take on new work, no job is too big or small. A ROOFING COMPANY YOU CAN RELY ON!